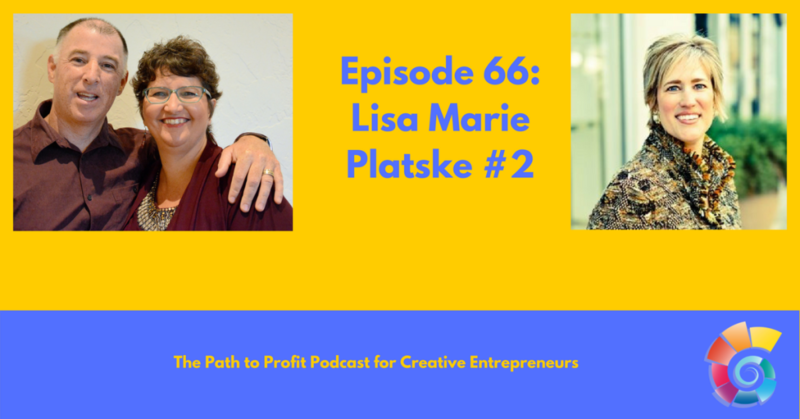 We had a super-fun talk as Lisa Marie Platske returned to the podcast for a second time to set us straight about transformational leadership. She asks “How are the actions I am taking impacting/influencing or making a difference?”. We talked about how Vulnerability does NOT equal Depositioning. Lisa Marie also outlined her multi-step process for how you can see yourself as the LEADER of your company – take a look at the Minette’s notes below. Bio: Lisa Marie Platske left her action-packed life as a Federal law enforcement officer to become the CEO of international leadership training and consulting company, Upside Thinking, Inc. Her non-traditional career began with stint on the piers of New York where she became one of the fastest promoted women in the U.S. Customs Service. 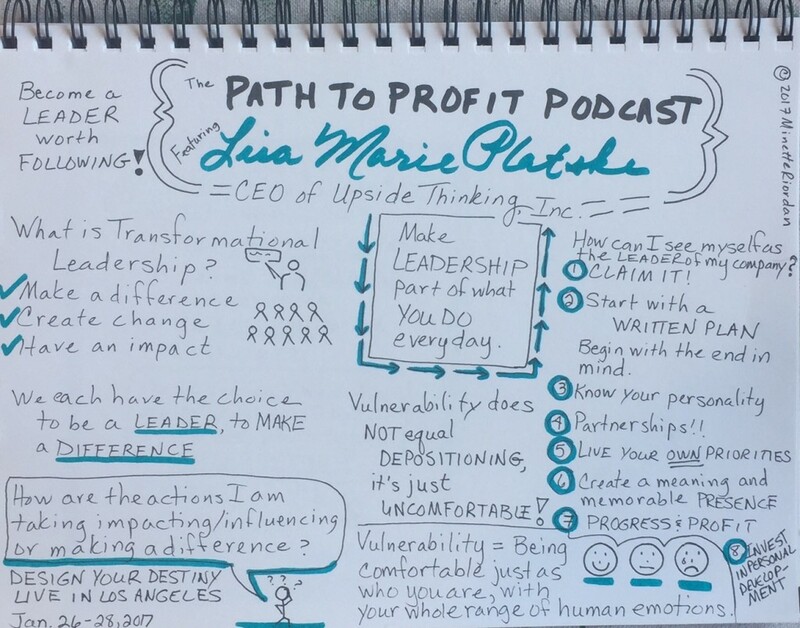 An award-winning leadership expert, and high-energy speaker, Lisa Marie has the rare ability to touch people’s hearts and turn those emotions into practical action. Business leaders turn to Lisa Marie when they are looking for breakthroughs in enthusiasm, productivity, and profitability to build high-performing organizations. Lisa Marie is a certified master coach and has coached multi-million dollar entrepreneurs, start-ups, seasoned executives, and non-profit leaders from 3 different continents and in 20+ different industries on how to position themselves so that they are heard, recognized, and rewarded. Her proven success strategies have resulted in her clients getting 6-figure opportunities, 5-figure promotions/bonuses, tripling their income, and finding up to 21 extra hours in each work week. Simply put, she creates effective leaders. Connected to God, Lisa Marie listens and lets Him lead. The founder of Design Your Destiny LIVE™, she lives in Alexandria, VA, with her loving and supportive husband, Jim and their two pet foxes. ← Is it Time to Re-evaluate What You are Selling?